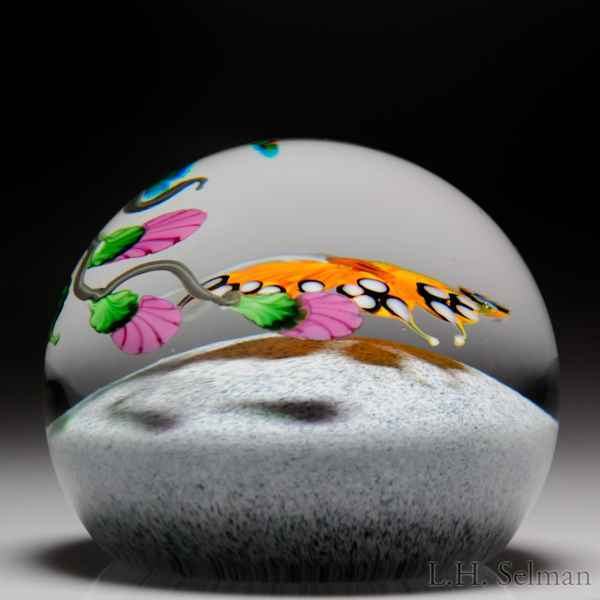 Mayauel Ward 2017 orbus butterfly compound paperweight. A large orange orbus butterfly, its carefully patterned wings rimmed in white circles, hovers beneath a slender brown vine trailing three pink blossoms and five green leaves, over an opaque gray jasper ground. Signed/dated. Diameter 3 3/16".